For one reason or another, some videos find a second (or third, or fourth) wind after making the rounds on the web. That’s what is happening with a video of an alleged ghost attack in Chile. The incident took place back in January 2015. 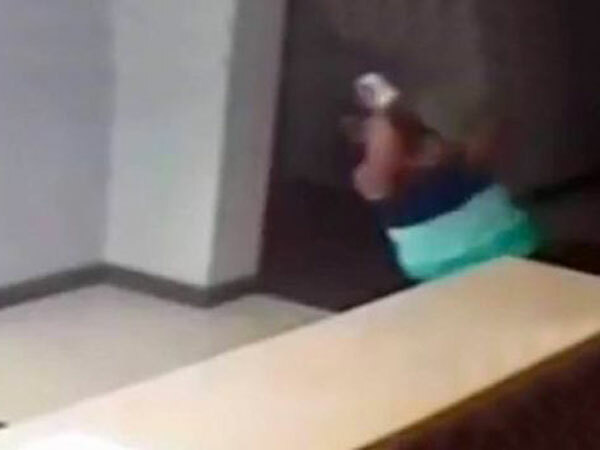 Cecilia Carrasco was walking past the reception desk at her attorney’s office in Santiago, Chile when she suddenly fell backwards onto the floor. The incident was recorded by the office’s security camera. The fall was so severe that she reportedly had to be taken to the hospital. Carrasco says she never believed in ghosts before, but, after her traumatic experience, she is terrified and thinks the ghost might be after her. It’s always weird, and sometimes annoying, when old videos make the rounds again. But at least this one is interesting and a little creepy.